Kumbalanga (in Malayalam), Poosanikai (in Tamil) and Ashourd (in English) is a one of the best suitable vegetable to prepare this curry. This gravy can also be prepared using vellari(Indian cucumber). Moru curry is nothing but seasoned buttermilk. 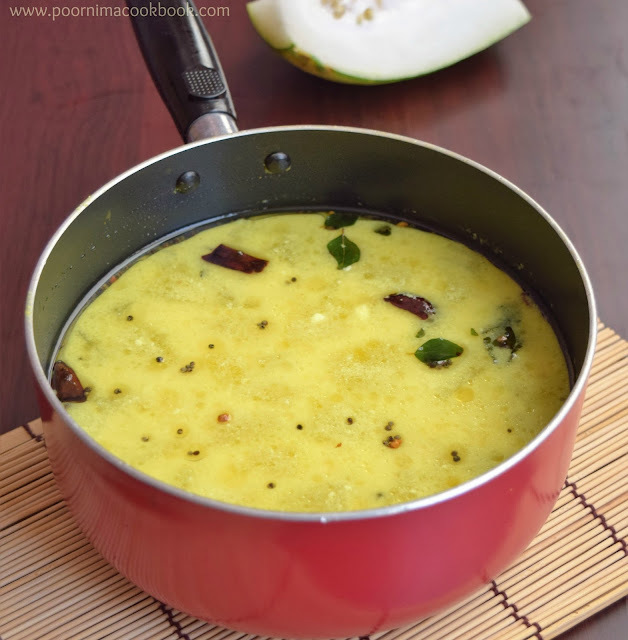 It is one one of the popular dishes of Kerala; usually served during all traditional feast like ona sadhya, vishu etc. Wash, peel and remove the seeds. Cut ash gourd into bite sized cubes and keep aside. 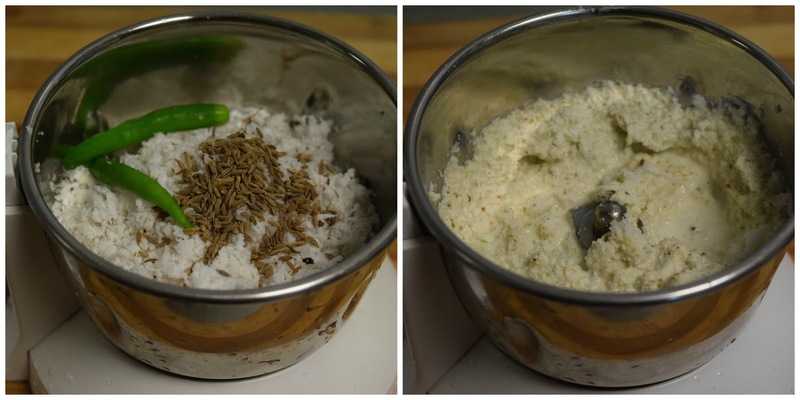 Grind the coconut, green chillies and cumin seeds into a fine paste by adding water; keep aside. Take a pan; add the cubed ash gourd along with little water, turmeric powder and salt. Close the pan with the lid and allow to cook till it become soft. Add the the buttermilk into the ash gourd coconut mixture and give it a mix, Immediately switch off the gas. Heat oil in a pan, season it with mustard seeds, fenugreek seeds, red chilly and curry leaves. Once it crackles, pour over the ashgourd buttermilk curry. Enjoy this Moru Curry with Rice! 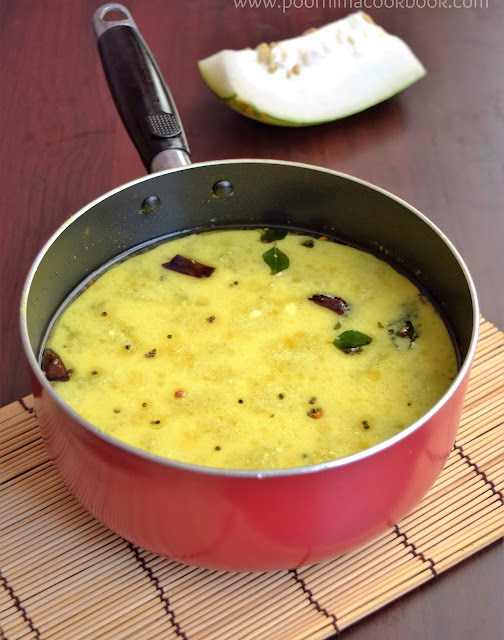 Yummy moru curry... My all time favourite moru curry with kumbalanga..